Asus introduces TF700 as an upgraded version of TF201 with some interesting features. 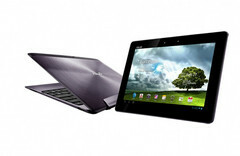 Asus introduced the upgraded version of Asus Transformer Prime TF201 tablet recently at a Pepcom media event in New York. The original version was released just a fortnight ago. The new model will be known as Asus Transformer Pad Infinity TF700 and will don 1,920 x 1,200 pixel resolution display with 10.1 inch screen. This feature will bring the tablet closer to Android tablets and the new iPad. It is known that the Android tablet has upgraded its resolution to 1280 x 800 pixels. Previously, Asus other model TF300 has cut the Primes’s Super IPS+ mode to save on costs, but the TF700 brought back the outdoor reading mode in full tilt. Now the new model will come up with HD video conferencing and the camera also gets upgraded from 1.2 megapixels to 2 megapixels. The back camera which was of 8 megapixels will be also upgraded from the previous F/2.4 to F/2.2. It will provide with detail video quality and still shots. The old prime model had difficulty in connecting to GPS satellites, so the upgraded version has a new back panel design with its aluminum unibody. The plastic panel on the back will help to allow GPS signals to enter and leave the tablet with ease. It also has an improved Wi-Fi, Bluetooth, and GPS performance. The thickness of the TF700 will be same as the Prime and it will come up with an Android 4.0. The price will start from $600 for 32GB and $700 for 64GB. But this price was announced six months ago and till now the new price has not been declared yet. The other features in this tablet include NVidia Tegra 3 that runs at 1.6GHz, 1GB of RAM, Corning Gorilla Glass 2, Micro HDMI, and Micro SD. It has an optional keyboard dock which will cost around $150. We can expect this tablet to be in the market this summer.